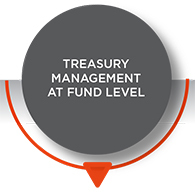 Asset managers are faced with increasing operating complexities and costs, stringent regulatory requirements, and talent constraints. As our clients seek more analysis and information for both themselves and third parties we have been helping our clients respond to challenges in their middle office. Alter Domus has a long history of working with private equity, real estate and private debt structures and firms across the globe. Our vertically integrated approach allows us to provide a comprehensive Middle Office package of services covering the full range from your Investors and Managing Partners’ investment structures through to your Funds and individual assets. And working with a fully independent partner avoids the conflicts of interest which can arise in the middle office domain.